Pakistani Prime Minister Imran Khan is not the deepest thinker in the world, nor the most original. Thus when he said that Pakistan would welcome another term for Prime Minister Narendra Modi, he was merely repeating conventional wisdom. He argued that the Congress would be "too scared" to relaunch peace discussions with Pakistan but there was a better chance that Modi would be able to. This is the "Nixon goes to China" argument - dating from the time when US President Richard M Nixon startled many by opening up American relations with China in spite of having presented himself as a generally hawkish anti-Communist. It means that, in democratic polities, it is often the more right-wing elements that are able to get away with compromises or de-escalation with countries long denounced as an enemy. This is a pretty ordinary and unremarkable claim. But, of course, Indian politics is not ordinary. Khan's claim has dropped like a stone into the fervid, hyper-nationalist swamp that Modi's BJP has turned this election into. The Prime Minister himself has just urged first-time voters to not dedicate their vote to those who committed the Pulwama attack. The BJP has not run a particularly good election campaign so far - it has had only one consistent theme, namely that a vote for the opposition is a vote for Pakistan. None of us can tell for certain how effective this appeal from the BJP is. But, certainly, Khan's restatement of why Pakistan would actually want Modi in charge pokes a giant hole in the BJP's sole argument for its re-election. It is worth noting that if anything, Khan's words should actually be seen as criticism of the Congress. It is true that it has not, in power, been open enough to ways to find a final settlement with Pakistan. When Manmohan Singh was Prime Minister, he found that Sonia Gandhi and the party clipped his wings early in his second term when he moved, at Sharm-el-Sheikh, to normalise relations with Pakistan. This was, indeed, cowardice from the Congress. Judging by history, Khan is right on the merits - the Congress, for political reasons, is unlikely to take anything but a hard line with Islamabad. The problem, of course, is that both history and logic have no role in an Indian election campaign. Here we should pause to ask ourselves whether Khan is being totally straightforward about Pakistan's reasons for wanting Modi back. After all, Khan - at least for now - is seen as being very closely associated with the Pakistani military, and the last thing that the entrenched establishment in that country wants is actual movement towards peace with India. They are best served with a government in India that adopts the sort of hawkish tone that makes the Pakistani military's case that they are indispensable for that country's security. Logically, therefore, they would love to have no change in New Delhi if at all possible. 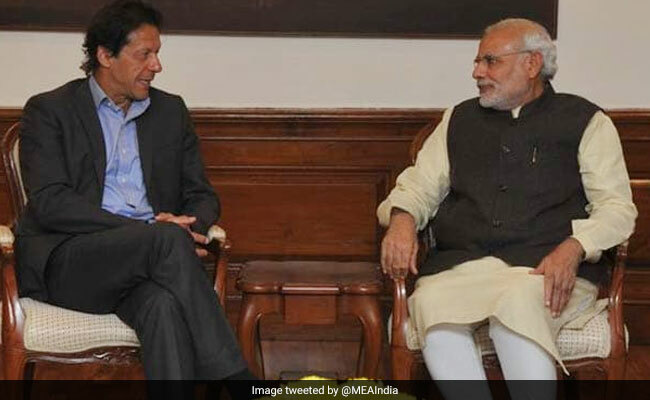 It is worth noting that nothing has shored up Khan's and the Pakistani military's position as much as the Indian government's combination of outspoken rhetoric and bungling post-Pulwama. No doubt that was exactly what the Pulwama attackers' handlers intended when they gave the orders for an attack. Five more years of that would indeed be great for them. With enemies like Modi, the Pakistan military thinks, who needs friends? The BJP's decision to launch a one-note campaign focused around Pakistan has now been shown up. It always defied logic to claim that the opposition would be soft on national security - there has been no significant difference between BJP and non-BJP governments when it comes to that issue. If anything, BJP governments under both Modi and Vajpayee have been more open. 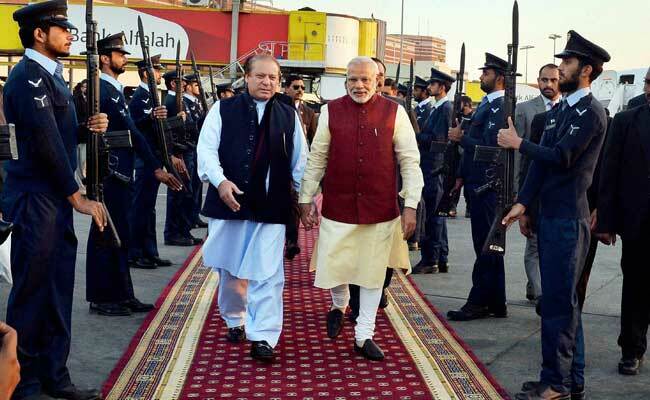 Few surely have forgotten Modi's unannounced visit to Nawaz Sharif on his birthday. 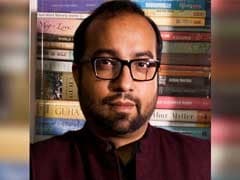 But although claiming that a win for the Opposition would be a win for Pakistan is essentially illogical, it has been so much a hallmark of the BJP's campaign that it is not surprising how the Opposition has reacted with glee to Khan's admission that he would prefer Modi in charge. The BJP's discomfiture is well earned. It had no business making the sort of claims that it has made in the recent past. It is one thing to say that you will be tougher on national security than your opponents. That is a legitimate political claim, however true or untrue it may be in this case. But claiming that your opponents are in league with the enemy is another thing altogether. It is frankly beyond the pale for an election campaign to be constructed around such a claim. Yet, the BJP, every time it has been worried about an opposition surge, has trotted out this canard. Remember the Gujarat assembly election? And how, in the face of widespread discontent and anti-incumbency, the BJP decided to claim that Manmohan Singh and other leaders of the opposition were conspiring with Pakistani diplomats in that election? The reason that the BJP cannot simply say that it has been better on national security is that it has not. It has presided over an escalation of violence in Kashmir born of its ineffectiveness and cynicism. Its Pakistan policy has been a lack of policy - opening up discussions and then shutting them down almost randomly, with no real consistent theme. It has worsened India's relations with most of its neighbours, allowed Beijing to make inroads into the Indian Ocean and South Asia, and turned incredibly weak on China after the Wuhan summit. With this sort of record to run on, your only hope of still coming out ahead on national security is to claim that the other side are actual enemy agents.